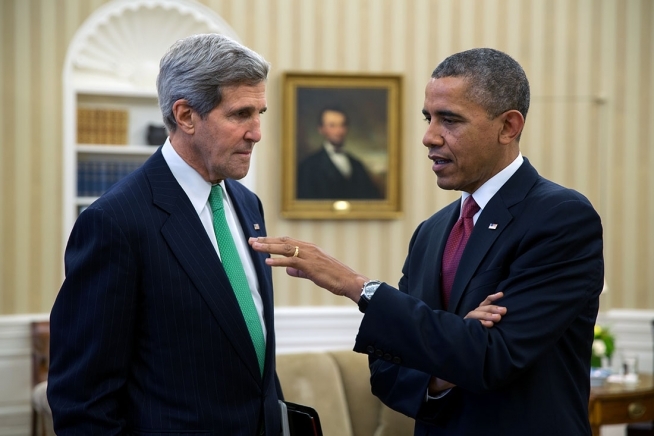 After years of pushing for a declaration that radical Islam is committing genocide against Christians in the Middle East, and being forced to be make a deadline decision by Congress, Secretary of State John Kerry spit in the face of Christians and reality. 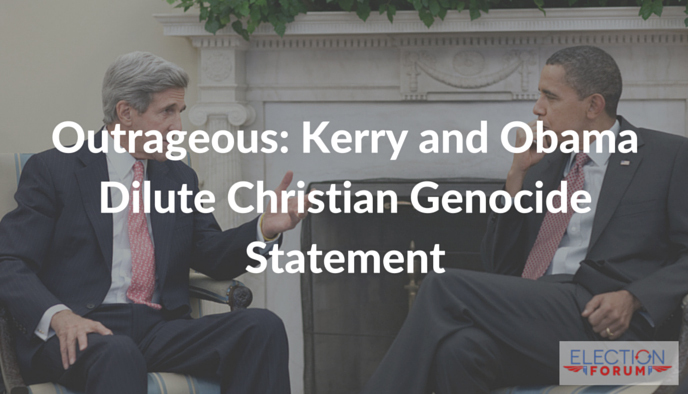 In Kerry’s statement, while he admitted that there is genocide, he diluted it by saying it included Muslims. The purpose was to acknowledge a plain truth: Christians are targeted for crucifixions, beheadings, slavery. And the historic mass murder of Christians is unique and distinct. Kerry diluted the entire statement. In addition to that, he limited it to ISIS, when indeed it’s being done by Islamic Radicals, including Hamas, the Muslim Brotherhood, and much more. The State Department’s statement of genocide against Christians and Muslims is an attempt to water down the fact that radical Muslims are killing Christians. How devastating to our brothers and sister in Christ in the middle east, to see how apologetic and uncaring the Obama administration is! The practical implication of this is Christian refugees, which are much different from the Muslim refugees, have no greater value or priority in help or refugee status. Please sign our petition to end the Christian genocide in the Middle East. Click here. So long as our Administration continues to call evil good and good evil, we will never see serious action taken against this insidious religion! We are seeing how Obama’s love of this religion and his “Political Correctness” tyranny, has allowed this evil to grow and take a firm hold of our schools, our lives and our country. And no one Presidential Candidate will ever bring America back to it’s former glory, until we realize that that glory was because of our love and respect of God and His will. You hit the nail on the head Crystal. But Christians are the ones portrayed as hateful and “bigoted”. America is slipping because the majority are not listening to God’s Word anymore, and many not even acknowledging HE is our Creator……! Exactly, Julie! God bless you and your family. And VOTE this November. You’ve captured this peflyctre. Thanks for taking the time! outrage the genocide of Christians. Wake up. Esther 4:14. Are we here for such a time as this??? If so – stand up & be counted!! Remember this world is NOT our home! !